This back to basics training forces your body into constant balance mode as it works to re-stabilize and reposition itself with each ripple of the rope. Heavy rope training demands you to push yourself to the limit and in return rewards you with tremendous grip strength, unbelievable raw power and body transforming muscular coordination. The battle rope comes with a plastic boot on each end to prevent fraying. Limited warranty, normal wear and tear is excluded. This back to basics training forces your body into constant balance mode as it works to re-stabilize and reposition itself with each ripple of the rope. 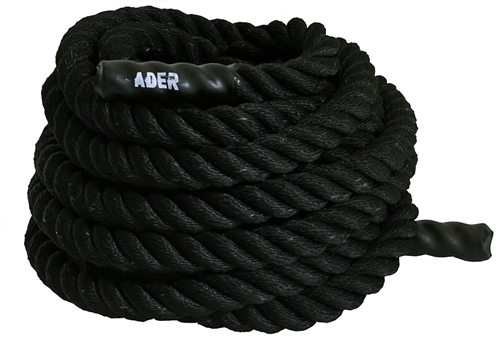 Heavy rope training demands you to push yourself to the limit and in return rewards you with tremendous grip strength, unbelievable raw power and body transforming muscular condition. Limited warranty, normal wear and tear excluded.